Through a life of passion and struggle, Malcolm X became one of the most influential figures of the 20th Century. In this riveting account, he tells of his journey from a prison cell to Mecca, describing his transition from hoodlum to Muslim minister. Here, the man who called himself “the angriest Black man in America” relates how his conversion to true Islam helped him confront his rage and recognize the brotherhood of all mankind. 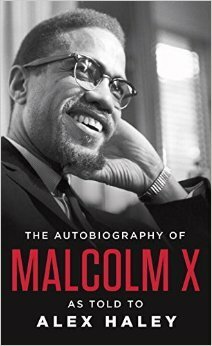 An established classic of modern America, “The Autobiography of Malcolm X” was hailed by the New York Times as “Extraordinary. A brilliant, painful, important book.” Still extraordinary, still important, this electrifying story has transformed Malcolm X’s life into his legacy. The strength of his words, the power of his ideas continue to resonate more than a generation after they first appeared. My work lately has made leisure reading nearly impossible, so if I’m not reading scripts, I’m reading books that have pre-scheduled post dates already on my calendar. With that being said, I wanted to make sure I shared my thoughts and notes on books I’ve already read, but do not have reviews. It might be the effects of what is happening now in our country but I thought about sharing this review first. It is the book the Social Justice book club read in February for Black History Month, but I am a strong believer in not needing a set reason or particular event to have to discuss, approach or learn about the strong and powerful constricting social-economical and racial discrimination trouble millions face every single day here in the US and around the world. It’s actually one of the reasons I do not take part in the diversity spotlight or diversity bingo phenomenon that seems to have popped up on social media lately. I think discussing diversity and social issues is important and more people should take part in it. However, I do not like the idea of it being integrated into pop-culture and desensitized like some sort of trend. It is a discussion and topic that should be had every day, all the time and should be taken seriously. For the fact of the matter is that the themes of dystopian/alternate worlds in fiction seemed to have seeped into our reality and sometimes it is kind of difficult to predict what might happen next. I didn’t know much about Malcolm X before reading this book. Not many relatives or people in my life talked about him, but I’ve always known about him. I guess some people don’t often discuss him because of the radical and “extreme” perspective he had. 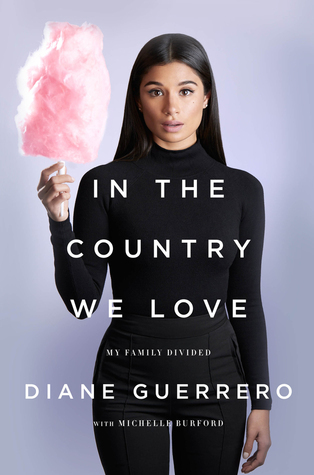 Diane Guerrero, the television actress from the megahit Orange is the New Black and Jane the Virgin, was just fourteen years old on the day her parents and brother were arrested and deported while she was at school. Born in the U.S., Guerrero was able to remain in the country and continue her education, depending on the kindness of family friends who took her in and helped her build a life and a successful acting career for herself, without the support system of her family. In the Country We Love is a moving, heartbreaking story of one woman’s extraordinary resilience in the face of the nightmarish struggles of undocumented residents in this country. There are over 11 million undocumented immigrants living in the US, many of whom have citizen children, whose lives here are just as precarious, and whose stories haven’t been told. Written with Michelle Burford, this memoir is a tale of personal triumph that also casts a much-needed light on the fears that haunt the daily existence of families likes the author’s and on a system that fails them over and over. May, for me, was a pretty good book month based on the material I got through. 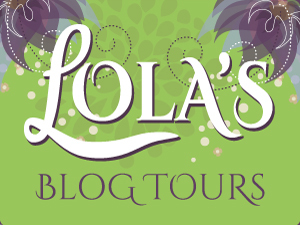 And just in case you haven’t seen them yet, be sure to check out my recent non-blog or reading challenge book review posts for, The Fold by: Peter Clines & Game of Fear by: Gledé Browne Kabongo. Two very different books with unique twists entirely their own. 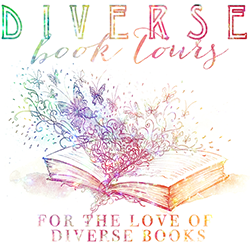 I’d also like to mention that besides my #2016readingchallenge books, I will be reading The Mother by: Yvvette Edwards for a June 15th blog tour date and Wander This World by: GL Tomas. (I love these girls) :-). Now without further ranting, I present to you the reviews for this month’s reading challenge books. Organized in the order I signed up for each challenge. 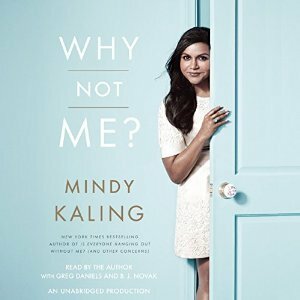 In Why Not Me?, Kaling shares her ongoing journey to find contentment and excitement in her adult life, whether it’s falling in love at work, seeking new friendships in lonely places, attempting to be the first person in history to lose weight without any behavior modification whatsoever, or most important, believing that you have a place in Hollywood when you’re constantly reminded that no one looks like you. Mindy turns the anxieties, the glamour, and the celebrations of her second coming-of-age into a laugh-out-loud funny collection of essays that anyone who’s ever been at a turning point in their life or career can relate to. And those who’ve never been at a turning point can skip to the parts where she talks about meeting Bradley Cooper. In her early thirties, Elizabeth Gilbert had everything a modern American woman was supposed to want–husband, country home, successful career–but instead of feeling happy and fulfilled, she felt consumed by panic and confusion. This wise and rapturous book is the story of how she left behind all these outward marks of success, and of what she found in their place. 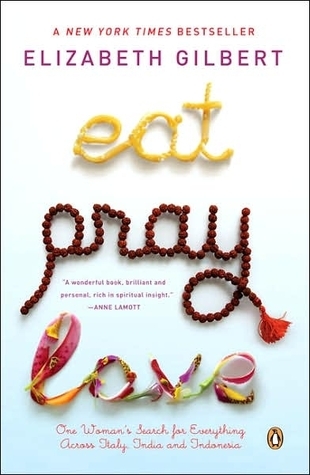 Following a divorce and a crushing depression, Gilbert set out to examine three different aspects of her nature, set against the backdrop of three different cultures: pleasure in Italy, devotion in India, and on the Indonesian island of Bali, a balance between worldly enjoyment and divine transcendence. The big day is here. I've worked so hard to get here.